The National Rifle Association gave notably less to candidates in the 2018 midterm elections than any other election in the last three years; still, NRA backed candidates won 106 races and lost just 33. While this is impressive, it is nothing compared to the efforts of gun control groups, and while they won less races, gun control candidates won critical races that put millions of Americans gun rights in jeopardy. The NRA and gun owners across the country must stand up for their Second Amendment rights going into 2020 to prevent more gun control advocates from undermining Americans constitutional rights. In the most recent midterms, gun control groups spent $2.4 million more than the NRA and flipped House seats in Georgia, Texas, and Colorado. The House victory by Democrats and these critical wins have emboldened gun control advocates. In October, Pelosi said gun control was a top issue for Democrats moving if they were able to retake the House and campaigned alongside gun control advocates. While Republicans in the Senate can prevent any of these measures from becoming law, state governments pose a much greater threat to limiting the rights of American citizens. Several gun control advocates also flipped governor seats, this poses a direct threat to gun rights at the state level. 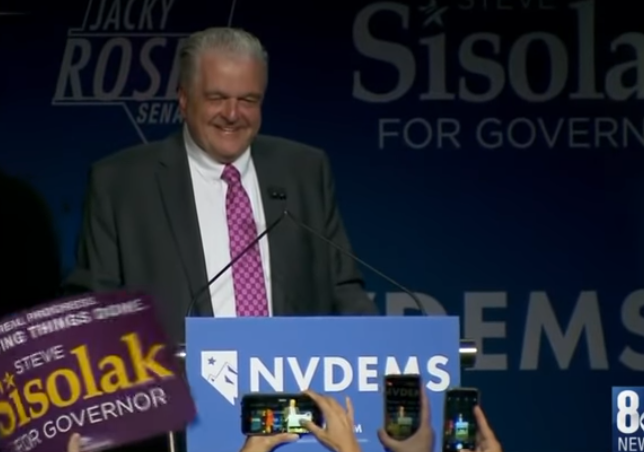 In Nevada, Steve Sisolak once had an A rating from the NRA, but in the most recent, election he turned against gun rights advocates. In an ad appearing just days before the election he called for gun control to prevent violence in his state. He also received endorsements from several gun control groups. Similarly in Illinois, Democrat J.B. Pritzker won the Governors election on the message of firm gun control. This is despite the fact that Illinois cities like Chicago already have strict gun control laws on the books that fail to prevent crime. Court don’t help much either. Just this month, Appeals Courts upheld a New Jersey law that limits the amount of ammunition a gun magazine can hold to just 10 rounds rather than 15 rounds as was law since 1990. These gun control “solutions” do not prevent crime. In fact, the Crime Prevention Research Center found that 98 percent of all mass public shootings occur in gun free zones. These states are not solving the problem they claim to care so much about, they are simply denying law-abiding citizens of their Constitutional rights. It didn’t all go the Democrats’ way, however. Democrats failed to pick up the governor’s seat in Florida, a state where the issue after the Parkland massacre should have been potent. Similarly, Republicans held governor seats in important swing states Ohio, New Hampshire and Iowa. Gun control clearly isn’t the national issue Democrats want it to be. The NRA is not a wealthy, elitist organization. If it was, the fact that they put so little money into this year’s midterms should have meant that a majority of their candidates lost. But they won many races. Because most Americans do not want the gun control agenda the left is pushing. Unfortunately, this is not enough. Moving toward 2020 it is more important than ever that gun rights are protected by candidates willing to stand up for the Second Amendment. Natalia Castro is a contributing editor and policy analyst at Americans for Limited Government.